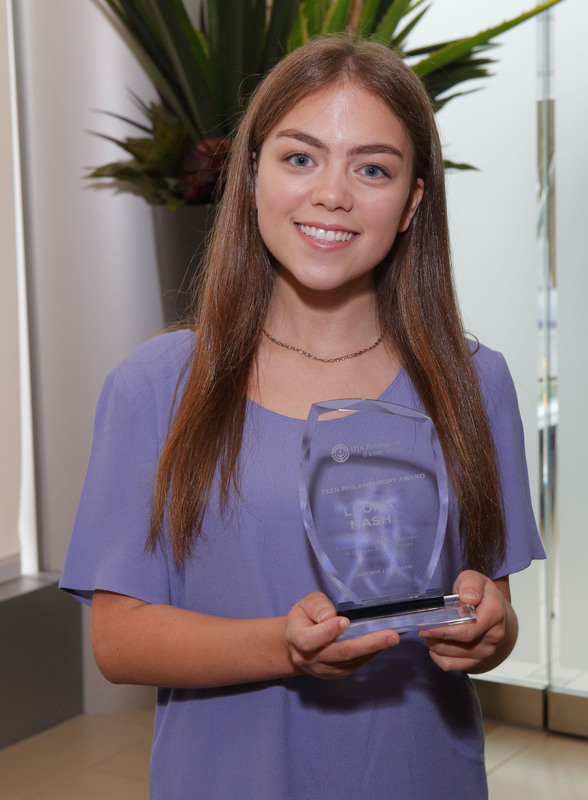 UJA Federation’s Teen Philanthropy Award shines a spotlight and identifies exceptional teens in the Toronto Jewish community who are involved in inspiring tzedakah, tikkun olam and leadership. 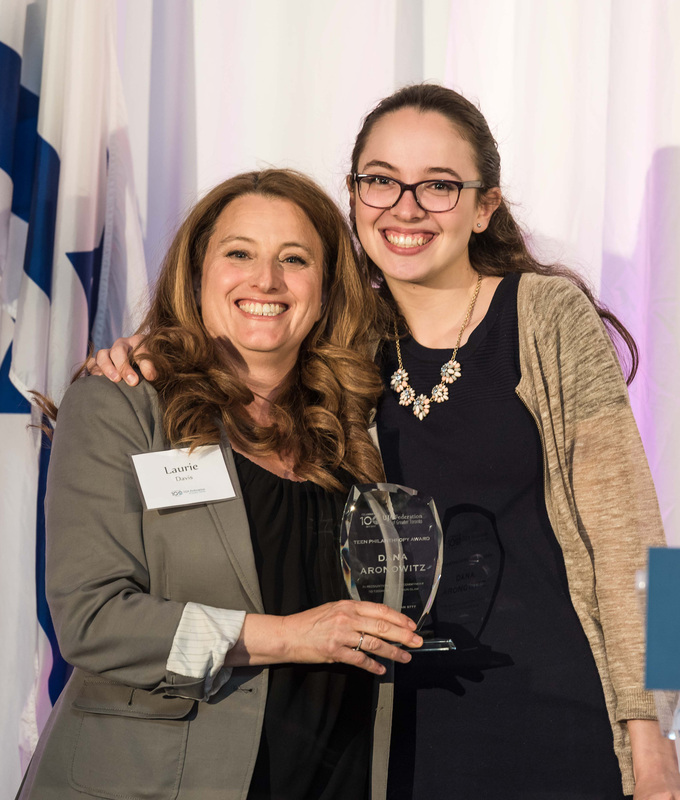 The Teen Philanthropy Award teaches that philanthropy and leadership at any age is paramount for the future of Jewish Toronto, and empowers people of all ages to devote their energy to helping our community thrive now, and in the future. Zachary Winkler, a Grade 11 student currently attending TanenbaumCHAT, has been involved with his community for a very long time. When he was six years old he began a fundraiser in support of SickKids Hospital in his driveway. What began as a small event 11 years ago has grown into a community wide event raising over $100,000 to date. Zachary has been acknowledged by several community organizations and has received many awards including 2009 Ontario Junior Citizen of The Year Award, 2012 and 2013 SickKids Hospital Top Individual Fundraiser Award (under 18), 2014 SickKids Youth Philanthropist of The Year, and the 2015 Vaughan Civic Hero Award. 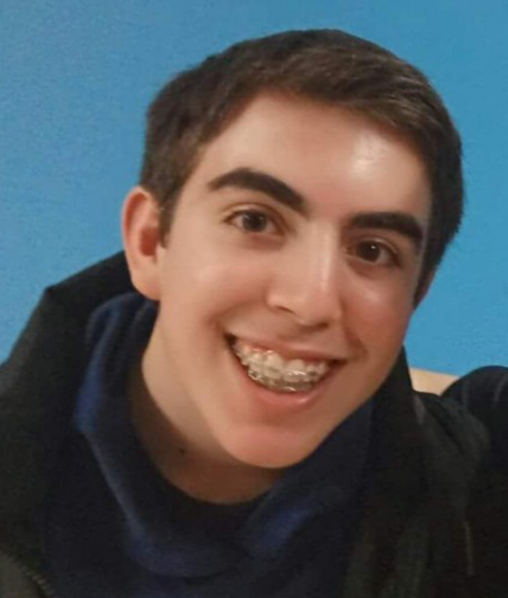 Zachary has been an active member on the Yachad Toronto Teen Board since 2015 and a Madrich (Youth Leader) in Bnei Akiva since 2016. He was a member of UJA’s Jewish Teen Board in 2015-2016 and is currently a member of the Diller Teen Fellows Cohort 6. Dana Aronowitz is a grade 11 student at North Toronto C.I. She was born in Israel and has lived in Toronto since age 7. Dana has always been determined to make a difference in her community. At age 12, she collected over 27,000 pennies to be donated in order to provide clean drinking water to people overseas. Dana has volunteered in numerous Out of the Cold programs around the city. This past year, she organized an assembly for the 1200 students at her public school about the importance of remembering the holocaust and being tolerant and she invited a holocaust survivor to share his story. Dana also decided to fundraise with her school to support holocaust survivors living in poverty in the GTA. For the past few years, Dana has volunteered with the organization Uniform Buddies and assisted with preparing used soccer uniforms to be delivered to children around the world. She has been involved with the Jewish Teen Board for the past 2 years as well as Diller Teen Fellows cohort #5. Harrison Levine is a grade 11 student at Tanenbaum CHAT. He was a camper and CIT (Counsellor In Training) at Camp Kadimah and is going to Billium Israel this summer. Harrison played house league hockey for 9 years and was a fellow and the valedictorian of Toronto Cohort #3 Diller Teen Fellows. His family hosted a Shinshin in the spring of 2015. He has completed over 20 hours of fundraising through UJA Telethons and volunteered at other UJA events and affiliated institutions. With UJA’s help, Harrison also co-created the poverty awareness campaign, #unmaskpoverty, reaching 8,000 people. Additionally, at Tanenbaum CHAT, he is a Madrich leading CHAT Shabbatons and High Holiday activities for younger students. At the same time, he is a member and active volunteer at Beth Tzedek Synagogue. This past May, Harrison was a participant in Toronto’s March of the Living Contingent. Leora Nash is co-founder of the The One Stop Camp Shop, a Diller alumni initiative, in partnership with UJA’s Silber Family Centre for Jewish Camping. This social action initiative connects camp families through the donation of new and/or gently-used camp supplies. Leora is a grade 12 student at TanenbaumCHAT, Wallenberg campus. 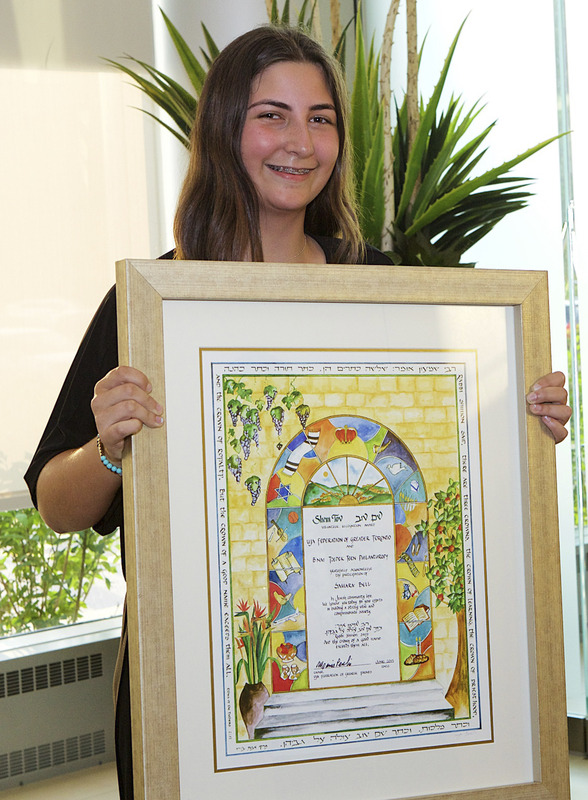 Her participation in the Diller Teen Fellowship program has helped her to build on her leadership skills through hands-on experience, and has strengthened her commitment to Israel and her desire to contribute to the Jewish community here in Toronto. She has also been involved in volunteer activities for the Hospital for Sick Children, The Lymphedema Association of Ontario, Canadian Young Judea, and Beth Tzedek Congregation. UJA Federation of Greater Toronto Shem Tov Awards are presented, in partnership with agencies, to leaders representing the highest level of excellence in volunteer service in Toronto’s Jewish community. 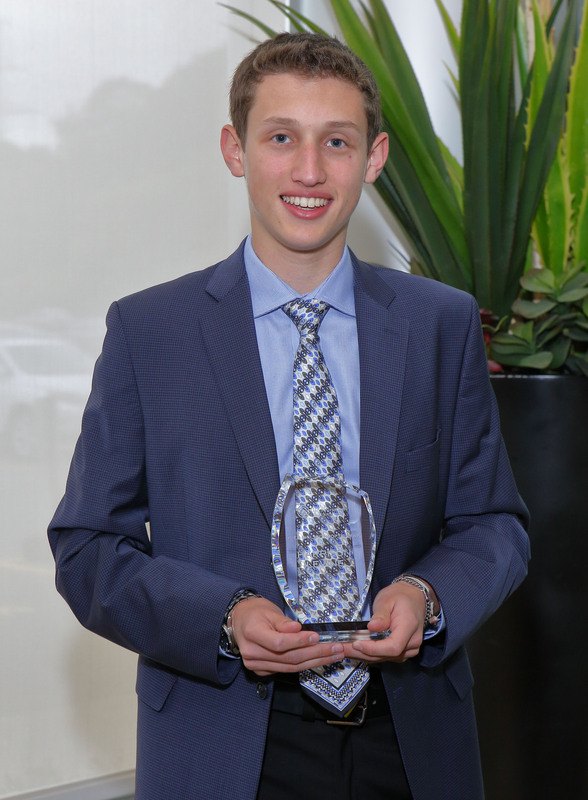 The B’nai Tzedek Teen Philanthropy Shem Tov Teen Leadership Award recognizes an exceptional teen in the Toronto Jewish community who is involved in inspiring tzedakah, tikkun olam and leadership. On June 10, 2015, Samara Bell received the Jewish Foundation’s Shem Tov Award for her incredible contribution and philanthropic devotion to her community. Mazel Tov to Samara Bell; we thank you for your dedication to our Jewish community and know that your commitment and leadership with inspire more young people to begin their own philanthropic journey. "I am always looking for ways to help others. I feel an obligation as a member of our community to do whatever I can to educate and improve people's lives."